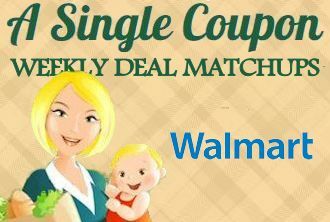 Walmart FREE & Under $1 list PLUS Weekly Coupon Matchups - 4/19-4/25/15 TONS OF DEALS!! Final cost: FREE + $1.66 Overage! Final Price: $1 +FREE ground beef wyb 3 rebate!! Pictured: Trix, Reese's Puffs, Honey Nut Cheerios, and Lucky Charms. Final Price: $6.97 (10¢ per load)<--- great price on this brand!!! Jessica is a 32 year old wife and work-at-home mom with four children. Jessica loves to blog about coupons and anything that saves her family money, specializing in saving at Kroger. In her spare time she enjoys crafting, scrapbooking, browsing the clearance racks, DIY home projects, and spending time with her family.